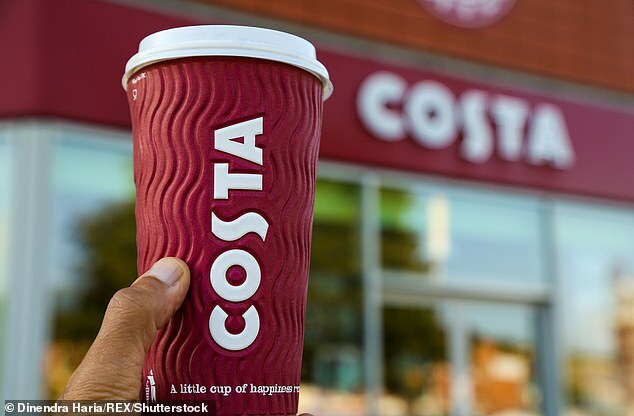 Staff at Costa have revealed the things that annoy them most about working in the coffee shop chain - and fussy customers are their prime targets. The private Facebook group which is named 'you know you work for Costa when....' has over 20k members and is predominantly made up of current and ex-employees. While many moaned about clock-watching, other complaints included people asking for the toilets to be cleaned, and requesting their drink is a certain temperature. 'When it feels like you've been at work for seven hours then you look at the clock and its only been 13 minutes,' wrote one barista. A second who worked in the popular coffee chain mocked a customer for refusing a free drink they were offered after he'd accidentally made the order wrong. 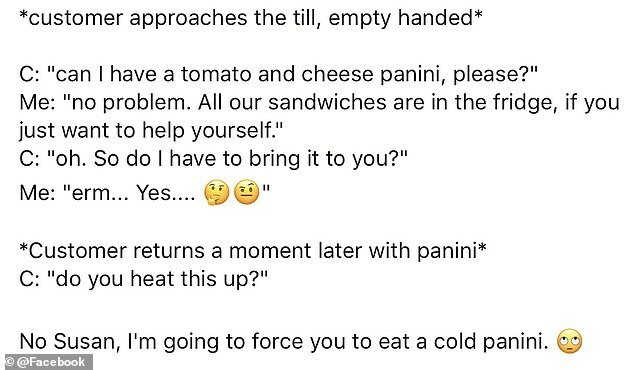 And it seems that awkward customers were the flavour of the day as another member of staff ranted about yet another picky order they were given. 'So today I got asked for a "large, skinny, wet latte with an extra shot of coffee with vanilla, cinnamon hazelnut and caramel syrup, heated to just 120F,' she began. Meanwhile, on a completely different topic, one barista wasn't happy with the amount of times he's asked to clean up the toilet.